Cleaning windows can be a trial and you may often ponder over how domestic cleaners in Croydon get that streak free finish. There are some basic tips to learn that can make sure you too have the prefect gleaming windows. The first important step is to buy a high quality squeegee. They can really make the difference between a smudged window and a sparkling one. A good squeegee is has a rubber blade which is soft and pliable and has no imperfections. There are replaceable blades so when one starts to wear out you can simply swap it for a new one. The next top tip is to make sure you clean you windows on a cloudy or cool day. If you have no choice, but to wash windows on a sunny day make sure you tackle them in the morning. Heat is your enemy here. Next use a lukewarm bucket of water and add to it a few tablespoons of white vinegar. Use a sponge to wet the window and with the slightly abrasive side then clean off any fixed dirt and grime. Make sure you have no rough patches as this is what causes your windows to smudge and cloud. Rinse the window and take your squeegee to remove any excess water. Use the squeegee by placing it at the top corner of the window and pulling down smoothly. After each sweep dry your squeegee blade. If cleaning windows is a chore you’d rather leave to the professionals, at Maid2Clean we can handle all of your domestic cleaning in Croydon professionally and efficiently. We pride ourselves on being experienced professionals in this industry, and should be your first port of call for cleaning services in Croydon. As the winter weather drives us to hibernate indoors, people tend to make their home cosier by adding warm, soft furnishings in tactile textures and fabrics. The Daily Mail has recently reported that this time of year is a favourite for updating the home and adding luxurious soft furnishings. Kick back on luxurious velvets and snuggle with soft wool and smooth felts to enjoy that homemade winter meal in front of a roaring fire. To make the winter months more enjoyable and to prepare the home for your family spending more time indoors, why not enlist the help of domestic cleaning services in Southend? These domestic cleaners can help to prepare the home and carry out those heavy duty tasks that you simply don’t have the time or energy to do. They can professionally and efficiently tackle those dreaded jobs such as carpet cleaning, so you can relax and enjoy a night in by the fire with your favourite DVD. To further enhance the home, you could also look into hiring specialists who have a wide range of inspiring, vintage-styled products. Unusual finds that reflect your personality and accentuate your décor are great additions to the winter home. Seek out hand made pieces, embroidered footstools and knitted cushions to authenticate your winter home. Maid2Clean offer professional home cleaning services in Southend and can keep sumptuous upholstery and luxurious soft furnishings in their best condition for you to enjoy. Carpets will be maintained in pristine condition and if guests do make a mess, you have the relief of knowing that we’re on standby to help you. Christmas is upon us, and at this time of year it is always a good policy to know how to remove red wine stains from soft furnishings and carpets. Christmas is the party season and more people choose to celebrate at home with friends and family. This is a prime opportunity for those red wine disasters to happen. As the house gets fuller, the chances of accidents increase and red wine can be extremely difficult to remove. However, you can avert any permanent stains by quick action ensuring that you keep beautifully clean carpets. Maid2Clean offer expert advice and cleaning services; we would recommend pouring white wine on a red wine stain to remove it, but bear in mind that you should not use too much white wine on the spillage as this can cause the carpet to shrink. If you feel uncertain tackling stubborn stains, consider the use of domestic cleaning in York to ensure your carpet comes up pristine. Another great stain remover for red wine accidents is to use salt as a carpet cleaner. Soak up the red wine by pouring salt over the affected patch of carpet, and then leave the salt to fully dry before you vacuum the excess away. The key to both methods is to react as quickly as possible. The stain will worsen if it is left to dry and can create permanent staining. If you don’t notice a spillage straight away, then consider contacting home cleaning services in York to deal with the problem. There is absolutely nothing better than coming home from a long, hard day’s work and your house being perfectly clean and tidy but with today’s working hours that can be difficult to achieve. Luckily, there are now domestic cleaning companies that can offer these services at very competitive and affordable rates. The environment is extremely important to many people and so they need to decrease the size of their carbon footprint; people need to start being more environmentally friendly and using less harmful products to help make this happen. To make sure that you are entirely happy with your home cleaning services in York, it may be an idea to work with your cleaner to create a rota that enlists everything that your cleaner is expected to do. This means that you know that you are getting the exact service that you are paying for. Being fortunate enough to have somebody clean your house with home cleaning services in York means that you can spend your free time with your family and friends, and maybe do things that you would not normally have time for. There are an awful lot of reasons why you would need help with your cleaning, maybe you just do not get enough time or maybe you want a good deep spring clean done ready for the summer; whatever your reason a one off clean can be just as beneficial as a regular weekly or monthly clean. At Maid2Clean, we offer domestic home cleaning services in York, Croydon and other locations close to you with home cleaning services that will delight you and convince you that getting a home cleaner was the best decision you ever made. Many of us lead busy lives and although we know what we need to do, we just do not seem to have enough hours in the day. The cleaning of your house will quickly begin to slip down hill and before you know it, your house is a mess and your list of things to do is a couple of pages long and growing. There are domestic cleaners offering home cleaning services in Croydon that will help to answer your prayers, giving you the opportunity to create your own unique cleaning regime to suit your every need. It is important that you are able to have a good working relationship with your cleaner. Home cleaning services in Croydon are becoming even more now popular and help people out every day. When using a home cleaning company such as Maid2Clean you can go to work or out with your family rest assured that on your return, your home will be cleaned in accordance with your cleaning regime. There are other reasons why you may require the services of a domestic cleaning company. For instance, you may be a landlord and your tenant is moving on, so the property will need a good clean from top to toe in order for you to show it to your next prospective tenants. Some people just need a cleaner as a one off, such as a landlord, and some need a couple of hours per week, at Maid2Clean we have domestic cleaners offering home cleaning services in Croydon to cater for all your cleaning needs. At Maid2Clean we offer complete domestic cleaning services for many areas in the United Kingdom. Please use our locator or contact us to see if we operate near you. Our domestic cleaning services can be a regular service or you can use it as a once off for a spring clean or house move or relocation clean. We will provide you with a checklist to select the areas and tasks that you want for cleaning, and before the day of commencement, you get to interview the domestic cleaner to make sure that you are happy with the staff member that we selected for you. 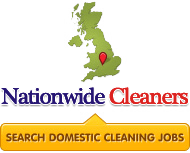 We offer domestic home cleaning services in York, domestic services in Croydon, domestic home cleaning services in Southend or even home cleaner Northstaff services. To have access to our home cleaner Northstaff team or make use of our domestic services York, domestic services in Croydon or domestic services in Southend just contact us and we will get the ball rolling. Our domestic home cleaning services in York, domestic services in Croydon, domestic services in Southend or even home cleaner Northstaff services offer sweeping, vacuuming, mopping, the ironing of any clothing you require, the wiping of surfaces, the wiping of tiled areas, the cleaning and dusting of pictures, dusting of surface areas and cills, the polishing of floors and surfaces and the cleaning of bathrooms including baths, basins, taps, shower areas and tiled areas. Contact us now to make use of our reliable and trustworthy domestic cleaning services. We will have replacement staff available should your domestic cleaner of choice be off sick or on holiday and will also replace your domestic cleaner at any time you ask for it. Maid2Clean offers more than just domestic cleaning services. We also offer peace of mind and the assurance of the best and most professional cleaners in the industry. When making use of our domestic cleaners in Croydon when signing up for our domestic house cleaning services in Croydon you will benefit from our 16 years of industry experience and our great methods of selection and task specifications. We want you to be confident in our domestic house cleaning services in Croydon and to do that we need you to know that we employ our domestic cleaners on very strict guidelines. Once a cleaner applies to be a part of our domestic cleaners in Croydon team, we go to the domestic cleaner’s house to do the first interview at their homes. This gives us a bit of insight into their lives as well as the re-assurance that they are indeed of the caliber that we are looking for. Once we have done the initial interview for someone wishing to become part of our domestic cleaners in Croydon team, we will check their references. This is to make sure that are who they say they are and also to make sure that they are loyal and trustworthy. We realise that they will be working in your homes and that trust and loyalty is probably one of the most important aspects of what we do. Once we are happy we will add the new domestic cleaners to our house cleaning services in Croydon team and then match someone up with your specific needs. You get to do an interview before the person starts working in your home, to make sure that you feel confident and are also happy with our choice for you. As one of the United Kingdom’s leading providers of domestic cleaning services we now also offer you our domestic house cleaning services in York. Maid2Clean have hundreds of domestic cleaners to do domestic house cleaning services in York and by using our domestic cleaning services you will be able to do a pre cleaning interview with a domestic cleaner that we have pre selected according to your specifications. If you are happy with our choice, you can then choose from our list of services by using our cleaner checklist to specify exactly what you need to be done. Our domestic cleaning services and domestic house cleaning services in York includes vacuuming, ironing, wiping of surfaces, polishing and the cleaning of bathrooms toilets and kitchens. If you have a look at our cleaning checklist, which you can download from our web site, you will see that we have a breakdown of all rooms and areas in your home or apartment and you can check or tick the areas and specific types of tasks that you would like our domestic cleaning services to perform for you. As an example, on the bathrooms and toilets section of our domestic house cleaning services in York checklist you will find the following options to choose from: Sweep or vacuum floor, mop floor, dust and wipe skirtings, dust and wipe doors, dust and wipe sills, clean windows, clean mirrors and pictures, dust surfaces, clean the bath, basin and taps, clean the shower cubicle, clean the toilet and bidet, wipe all tiled surfaces and another section where you can add additional tasks that we do not provide for. Maid2Clean is in the domestic cleaning services industry and provides you with an easy and reliable domestic cleaner in your home. We have been in operation for many years and pride ourselves on being one of the leading providers of domestic cleaning services. Whether you are just looking for once off home cleaning services in Southend or whether you are looking for regular weekly home cleaning services in Southend, we are here to help you. You will get the opportunity to do an interview with one of our vetted and insured cleaners and once you are happy with the selection that we made for you, you have the option to choose the particular cleaner to become your regular weekly cleaner. As an area leader of domestic cleaning services or home cleaning services in Southend we can provide you with a care free service. When your chosen domestic cleaner needs to go on holiday or is not able to get to work on a specific day due to an illness or being sick, we will take care of the replacement domestic cleaner for that specific day or time period. You get to interview the domestic cleaner that we have selected for you before the commencement date, you get to specify which days and times you would like for the domestic cleaner to come and do the work. You will also have the peace of mind that we are taking care of the domestic cleaners insurance in case of an accident and if your domestic cleaner of choice is sick or on holiday you know that we will replace you with a suitable replacement domestic cleaner.